Home » News » Calls increase for a moratorium on the salmon farming industry in Scotland. Calls increase for a moratorium on the salmon farming industry in Scotland. Animal campaigns charity OneKind has launched a petition to the Scottish Parliament with partners Scottish Salmon Think-Tank, Save Seil Sound and the Salmon Aquaculture Reform Network Scotland (SARNS) calling for a moratorium on the expansion of the salmon farming industry until welfare and environmental concerns are addressed. It comes as the aquaculture industry, backed by the Scottish Government, plans to double the value of the salmon industry to the Scottish economy by 2030. This month, OneKind released a new report Fish welfare on Scotland’s salmon farms which exposed a number of welfare breaches including mass mortality, sea lice infestations, disease and escapes. “Scotland might be the largest producer of farmed Atlantic salmon in the EU, but the industry’s reputation is becoming severely damaged by mass mortality, disease and lice infestations that are rife on Scottish salmon farms. 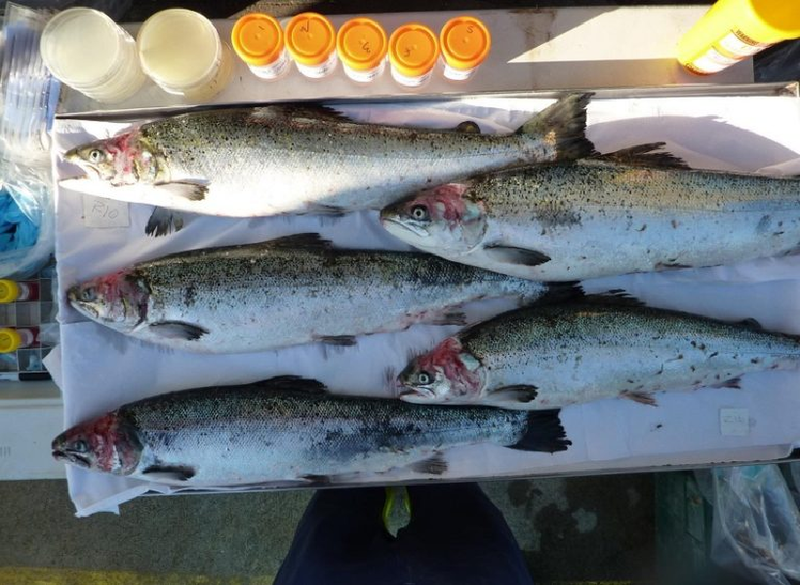 “The Scottish Salmon Think-Tank and the wider Salmon Aquaculture Reform Network Scotland (SARNS) welcome this campaign by OneKind highlighting the dreadful conditions under which farmed salmon are being reared. It is crucial to raise awareness about the disastrous impacts of industrial-scale open-net salmon farming in Scotland which is resulting in unacceptable farmed fish mortalities, pollution and diseases affecting our native salmon stocks which are threatened with irrecoverable depletion. Today, there are only a few sea lochs in Western Scotland free of fish farms and the detrimental impact will be felt for decades to come.